Searching for an exotic cruise holiday? 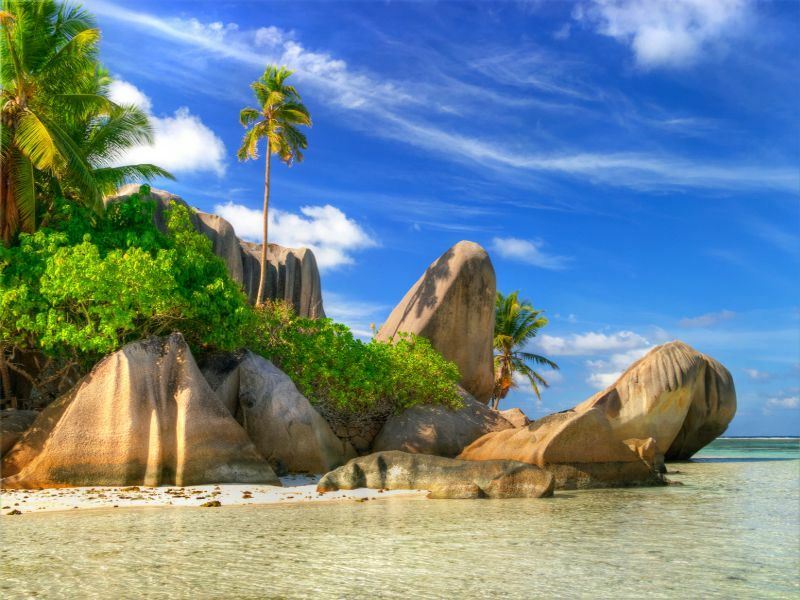 Then look no further than the Seychelles with its archipelago of 115 tropical islands. 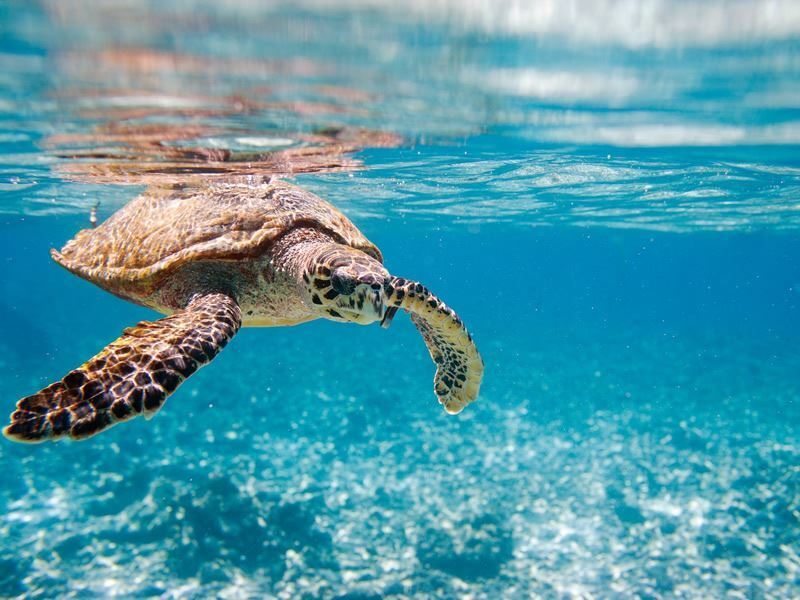 Sail through the sparkling Indian Ocean, stopping to discover remote islands and sandy beaches, giant tortoises and rare birds, reef fish and sea turtles. 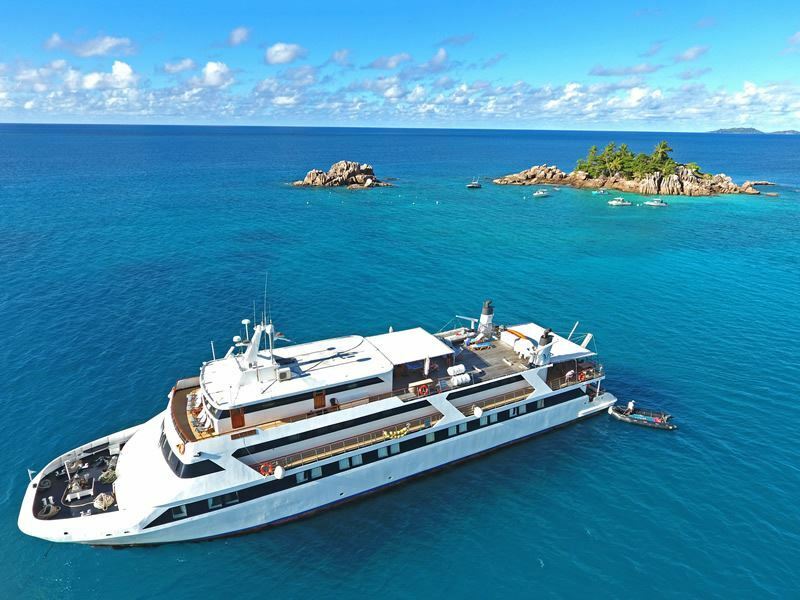 Enjoy all this in luxury from your chic cruise ship, which offers everything from fine dining and sea kayaking to private decks where you can watch the stunning Seychelles scenery pass you by. The Seychelles has some of the most flawless beaches on the planet. Take Anse Lazio, which often appears on Top 10 Beach lists, lively Beau Vallon on Mahe and one of the most photographed stretches of sand in the world, Anse Source d’Argent in La Digue. There will be plenty of cruise stops for you to enjoy the silky, white-sand perfection of the Seychelles’ beaches. Relish superior comfort on board your Seychelles cruise ship. 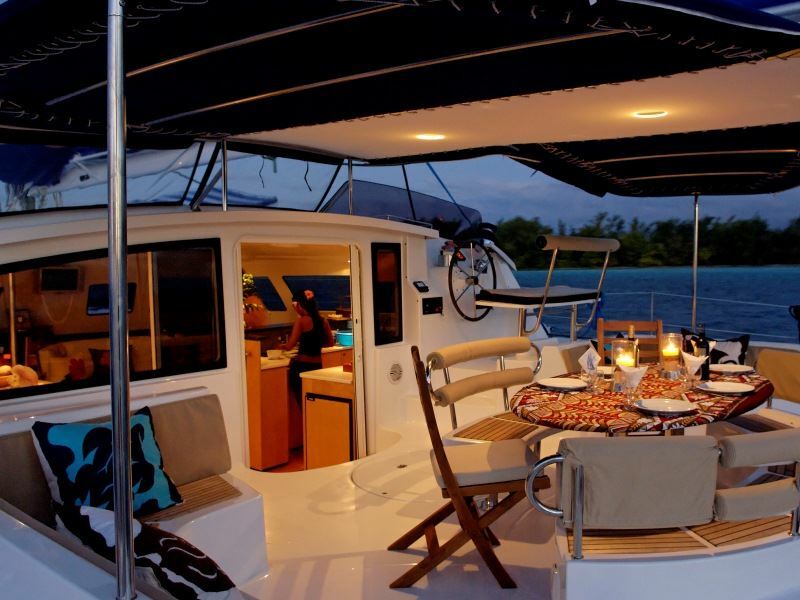 Our lavish catamarans and yachts feature comfortable cabins with mod cons, en-suite bathrooms and private decks. The on-board chef will cook up feasts every day and don’t forget to take advantage of facilities such as diving gear and sea kayaks during your cruise. The Seychelles is blessed with year-round sunshine and blue skies, with temperatures ranging from the mid 20's up to 30 degrees. 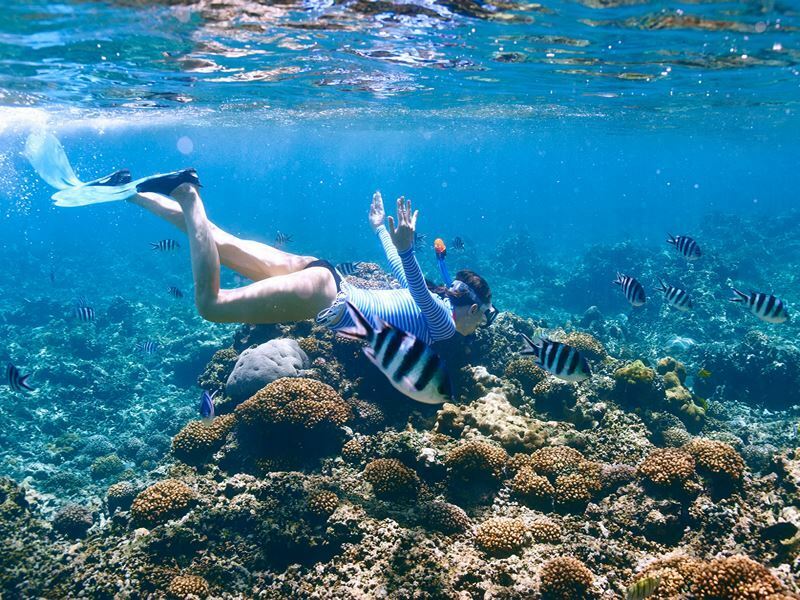 Visit the country during April, May, October or November to avoid the trade winds and get prime visibility for snorkelling and diving. A cruise provides the perfect opportunity to soak up all that Seychelles sunshine from the deck. Stroll through lush jungles, hike to mountain viewpoints and spot decorative flora and fauna in the Seychelles’ collection of National Parks. 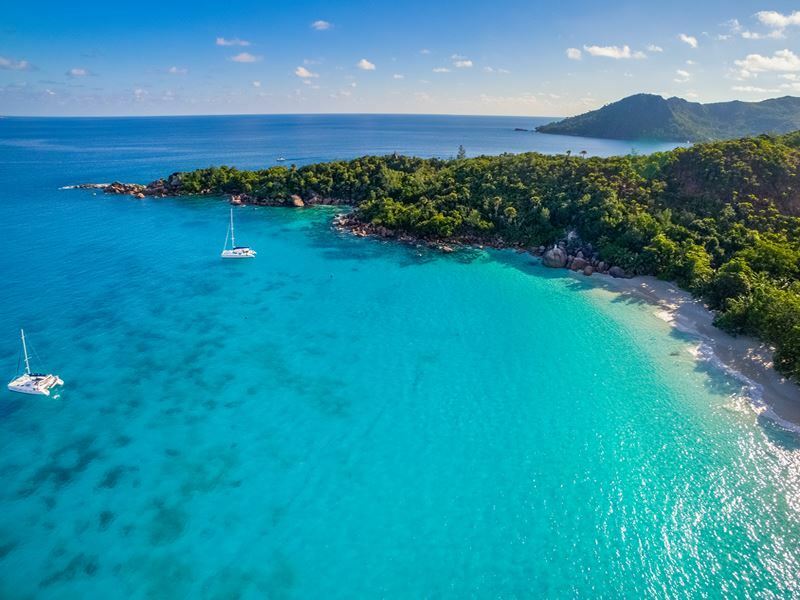 During your cruise, you’ll likely have a chance to stop at several parks, including Morne Seychellois on Mahe and the Veuve Nature Reserve on La Digue. The highlight has to be Praslin National Park, where you can wander the Vallee de Mai Nature Reserve, a UNESCO World Heritage Site. 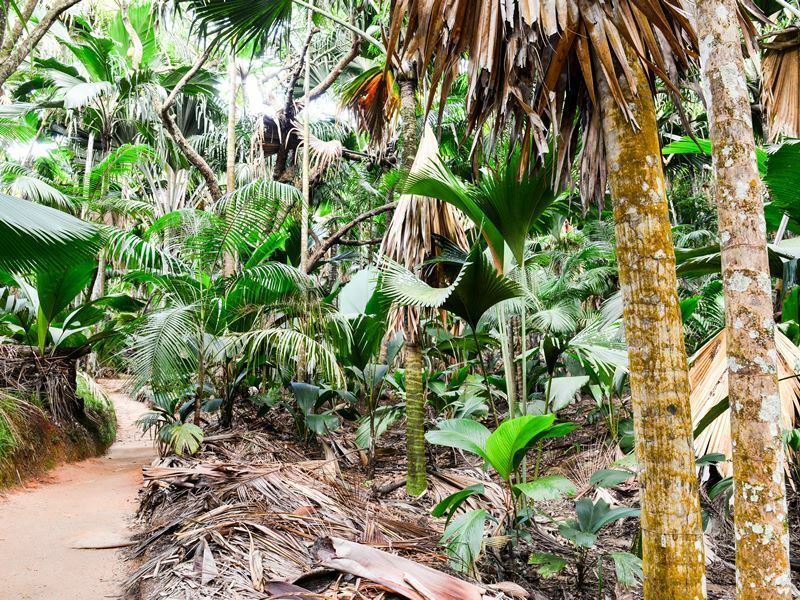 This area is home to spectacular Coco de Mer trees, which produce the world’s largest seed and palm flowers. Immerse yourself in the colourful underwater world of the Seychelles. The country has some of the best diving and snorkelling the earth has to offer, with six protected marine parks and plans to create more in the future. During your cruise, you’ll stop off at numerous areas known for their marine diversity, such as Silhouette National Marine Park. Most cruises spend time in the Sainte Anne National Marine Park, which boasts over 150 species of reef fish, not to mention sea turtles, octopus, bright coral gardens and reef shark. Get up close to all kinds of rare animals in the Seychelles, from striking birds to giant Aldabra tortoises. On Bird Island, there are over 20 species of quirky birds, including around 700,000 pairs of Sooty Terns that nest there. You’ll find giant tortoises wandering many of the islands and can visit the official sanctuary on Desroches. Hawksbill and Green turtles also come ashore to lay eggs in various destinations in the Seychelles. Most of our Seychelles cruises include hotel stays by the beach for several nights at either end of the trip. 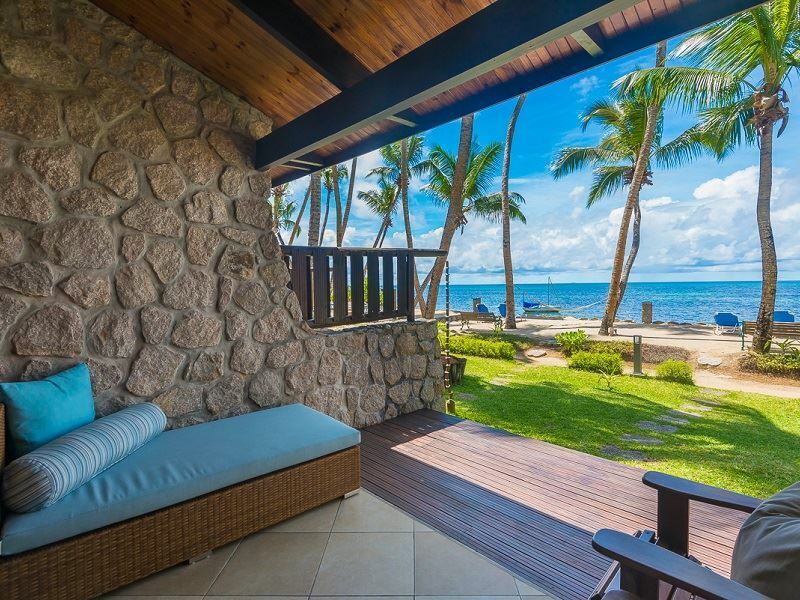 You’ll get to stay in beachside accommodation such as the AVANI Seychelles Barbarons Resort & Spa on Mahe or the Coco de Mer Hotel & Balck Parrot Suites in Praslin. 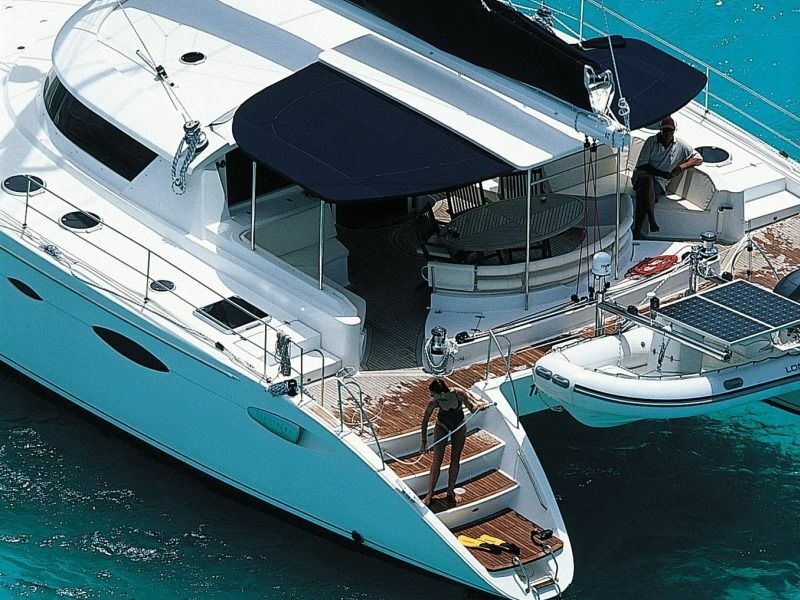 All the catamarans and yachts come with professional crews, including captains and a combination of deck hands, stewards and chefs. Boats typically have standard snorkelling and diving equipment, as well as sea kayaks, for passengers to use.